Given the incredibly varied body of texts labelled “mannerpunk”, it would be unfair to claim any description of the genre is definitive. In fact the very diversity of mannerpunk, and the dismissive way this label is often used by authors and critics, raises some interesting questions. From Ellen Kushner’s Swordspoint (1987) to Naomi Novik’s Temeraire series (2006–2016), this essay briefly explores how mannerpunk plays with the tropes of speculative punk. Can a literature grounded in protocols, etiquette, and social hierarchies even be “punk”? If so, what is it punking? How can manners be punk? In other words, stereotypical cyberpunks are undersocialised and oversexed (white) men who see themselves as besieged and underappreciated, but who are in many ways highly privileged. While speculative punk may be diverse in terms of execution, the myriad punk fictions that have followed cyberpunk into the new millennium continue to echo this basic template. As Hobson jokes, the protagonists of punk fiction are always supposedly “edgy, alienated” figures, often but not always men: “Steampunk, Clockpunk, Splatterpunk, Creampunk (for fiction about edgy alienated dairymen), Beampunk (for fiction about edgy alienated log cabin builders), Reampunk (stories about edgy alienated papermakers) … OK. You get the picture” (Hobson, 2009). In many ways mannerpunk is no different. 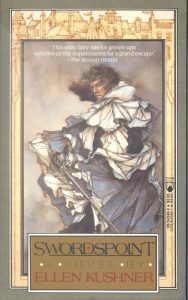 Ellen Kushner’s 1989 novel Swordspoint is often named as a cornerstone of the genre. It tells the story of Richard St Vier, a swordsman who makes his living selling his services to others. The nobles on the Hill are locked in a continuous battle for power and prestige, and when words are not enough they rely on a working class of hired swords to duel on their behalf. At the peak of his career St Vier finally takes up his sword for himself, and gets into trouble with the local lords as a result. Like other punk protagonists before him, St Veir is both “edgy” and “alienated”, distanced from the Hill-top nobles who employ him, but also avoiding the company of the poorer class of Riverside town. He gets by on his wits, his skill with a blade, and the steady stream of coin those two things bring in from the Hill. 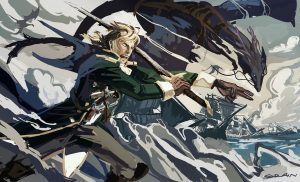 William Laurence, the protagonist of Naomi Novik’s His Majesty’s Dragon (2006), is the son of a noble family, with an impeccable sense of duty and a promising career in the navy. He is thus far from edgy or alienated—that is, until his ship captures an unhatched dragon egg on its way to Napoleon’s France. That dragon is Temeraire, who accepts Laurence as his rider. As Temeraire’s captain, Laurence is launched into the world of the British aviators, a rough and unmannered fighting force who are often at odds with Laurence’s sense of propriety, and occasionally at odds with His Majesty’s government as well. Here Laurence’s experience as a naval officer, as well as Temeraire’s status as a rare Chinese breed, sets him apart from the other aviators. Cyberpunk is often described as “high tech, low life.” Despite mannerpunk’s similarities with other punk fictions, it may be cyberpunk’s antithesis in the wide world of speculative punk. Popularised in the 1990s and modelled on the comedy of manners (a la Jane Austen’s Pride and Prejudice), this subgenre of fantasy and historical fiction is characterized by its emphasis on local politics, relationship intricacies, and complex systems of etiquette. Unlike its sister fictions in steampunk, mannerpunk also downplays gadgets, gears, and fantastical creatures. In other words, it is resoundingly “low tech, high life”. This refers back to old dichotomies between ‘hard’ and ‘soft’ science fiction, which often contrasts stereotypically masculine science fiction (like cyberpunk) with stereotypically feminine social science fiction, or fantasy. Mannerpunk does subscribe to the “libertarian use of technology” and critique of a homogenizing “social order” that so typifies punk fictions (Michaud, 2008, p.75). The conventions it “punks” and the technologies it describes are simply different. Rather than foregrounding one individual’s grand, heroic battles or spectacular inventions, the fantasy of manners tends to punk the personal, relational, and social dimensions of the worlds it creates. There are no magicians or fantastical creatures in Swordspoint, only the all-too-human monsters and word-wizards at court. Likewise, the novel’s focus is on social intricacies and relationships. As the title and plot summary might indicate, Swordspoint contains its fair share of action and adventure, but the climax and resolution of Richard St Vier’s story arc comes through shared words, not individual deeds. His fate is decided in a court case, won through obscure knowledge of legal precedent. And his life is saved not through his own skills, but by the revelation that his lover is an exiled member of a wealthy and influential noble house. Post-millennial mannerpunk tends to feature more fantastical elements than its late-twentieth-century counterparts, but these elements are still rationalized and normalized. The world of Gail Carriger’s Soulless (2009), for instance, is one in which vampires and werewolves just happen to live among us as everyday citizens. Despite being a tale of English magic and magicians, Susanna Clarke’s Jonathan Strange and Mr. Norrell (2006) is written as an academic treatise. And as Novik writes, the Napoleonic wars formed the initial focus of her novels, while “[t]he dragons came after” (Herring, 2014). The magical aspect of these stories rests in the way they manipulate the ‘natural’, not the supernatural. Writing about early mannerpunk, Kushner suggests: “we were fascinated with how that strange and alien thing, propriety, was like magic: learn its rules, and you’ll succeed in the grown-up world; break them, and you’d better be better than everyone else, or have powerful allies!” (Scalzi and Kushner, 2015). Moving into the 2010s we find a similar, if differently nuanced, motivation. Novik cites her fascination with the Napoleonic Era (and its popular afterlives) as inspiration for her novels (Herring, 2014). But beyond that, for Novik, all good fiction requires “something to be going on that’s not just everyday” (Newitz, 2010). In mannerpunk, understanding manners and conventions—the ‘natural’ order of things—eventually allows characters to recognize and manipulate the social hierarchies in which they are embedded. Likewise, the presence or absence of manners, alternately referring to common courtesy, and to a system of a regulatory and rigidly defined set of social conventions or behaviors, is what separates mannerpunk’s heroes from its villains. Throughout these novels, adherence to (or divergence from) proprietary conventions continually identifies, disrupts, and redefines a person’s place in systems of power and identity politics. Laurence’s mother’s comment, “I had no idea dragons were so well-mannered” (Novik, 2006, p.106), indicates to the reader that the natural order is not as natural as it may seem. Temeraire is technically the property of the crown, and is viewed by the British public as a dumb beast even though he possesses sharp intelligence and well-spoken earnestness. The “punk” in mannerpunk comes through most clearly in the way its protagonists realize the arbitrariness of the established or ‘natural’ hierarchy of their social systems. Consequently, they find renewed meaning in honor and duty—not to one’s government, but to other people who share these values, often across classes and races. As Laurence notes, a gentleman is better defined as “a man of honor rather than breeding” (Novik, 2006, p.313). Awash in a sea of console cowboys, mannerpunk makes a unique contribution to the ranks of speculative punk fictions. Ironically, the “punk” is in the manners—mannerpunk is punk not because its protagonists are isolated loners, but because they are able to use the system of manners to destabilize established hierarchies and become integrated members of a new and increasingly personal social order. This social order may echo the “libertarian” identity politics cited by Michaud, but it is also built up through meaningful encounters and relationships with the very outsiders mannerpunk initially pits its protagonists against. Mannerpunk not only foregrounds the anti-establishment political aims of the “punk” genre, but also the gaps in the self-proclaimed transgressiveness of its “edgy, alienated” heroes. It moves beyond the disruption of the old social order to the establishment of the new. And it does so by making the personal seem grand and important—by making the personal political. Bio: Megen de Bruin-Molé is a Teaching Fellow in Digital Media Practice with the University of Southampton. She writes on popular feminism, adaptation, and contemporary remix culture, and is currently working on a book called Frankenfiction: Monstrous Adaptations and Gothic Histories in Twenty-First-Century Remix Culture. Read more on her blog: frankenfiction.com. Bethke, B. (1995) Headcrash. London: Orbit. Dellamonica, A. (2011) The Bustlepunk Apocalypse Continues: The Hidden Goddess by M.K. Hobson [online]. Available from: https://www.tor.com/2011/05/10/the-bustlepunk-apocalypse-continues-the-hidden-goddess-by-mk-hobson/ (Accessed 4 April 2018). Herring, A. (2014) “Better than Gold: An Interview with Naomi Novik” [online]. 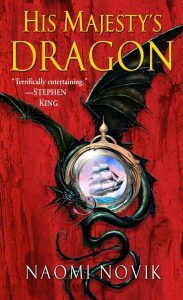 Available from: http://dailydragon.dragoncon.org/interviews/better-than-gold-an-interview-with-naomi-novik/ (Accessed 4 April 2018). Hobson, M. K. (2009) The Bustlepunk Manifesto [online]. Available from: http://www.demimonde.com/2009/10/27/the-bustlepunk-manifesto/ (Accessed 4 April 2018). Kushner, E. (2003) Swordspoint: A Melodrama of Manners. New York: Bantam Spectra. Le Guin, U. K. (2004) A Rant About ‘Technology’ [online]. Available from: http://www.ursulakleguin.com/Note-Technology.html (Accessed 3 November 2017). Michaud, T. (2008) “Science Fiction and Politics: Cyberpunk Science Fiction as Political Philosophy”, in Donald M. Hassler & Clyde Wilcox (eds.) New Boundaries in Political Science Fiction. Columbia, SC: University of South Carolina Press. pp. 65–77. Newitz, A. (2010) Naomi Novik says fanfic is part of literary history – and reveals what’s next for Temeraire [online]. Available from: https://io9.gizmodo.com/5634183/naomi-novik-says-fanfic-is-part-of-literary-history—and-reveals-whats-next-for-temeraire (Accessed 4 April 2018). Novik, N. (2006) His Majesty’s Dragon. New York: Ballantine Books. Romano, A. (2016) What is Mannerpunk? Your guide to weaponized etiquette [online]. Available from: https://www.dailydot.com/parsec/what-is-mannerpunk-a-guide/ (Accessed 4 April 2018). Scalzi, J. & Kushner, E. (2015) The Big Idea: Ellen Kushner [online]. Available from: https://whatever.scalzi.com/2015/10/29/the-big-idea-ellen-kushner-2/ (Accessed 4 April 2018). This book is alternately known as Temeraire, in the UK and elsewhere. “The personal is political” is a well-known rallying slogan of second-wave feminism.